You wouldn't believe what an incredible Saturday I had last week. 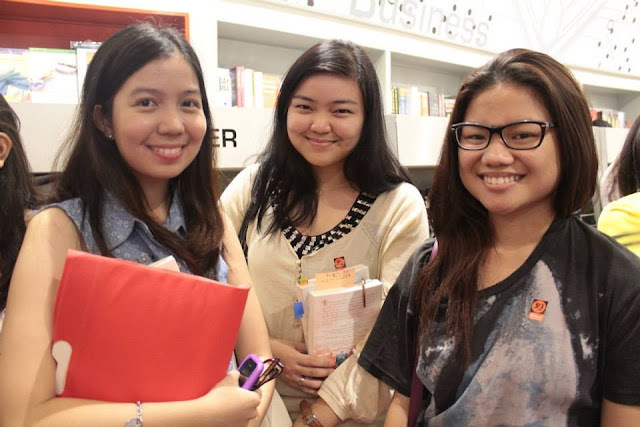 It's my first time attending an author event and meeting some of my fellow bloggers so I was pretty nervous and excited at the same time. It was a mad dash from my school to Greenbelt. I, unfortunately, had a class till 11 a.m. that day and I worried I wouldn't make on time for the 12:30 p.m. forum. Thankfully, I did and I still had time to spare. 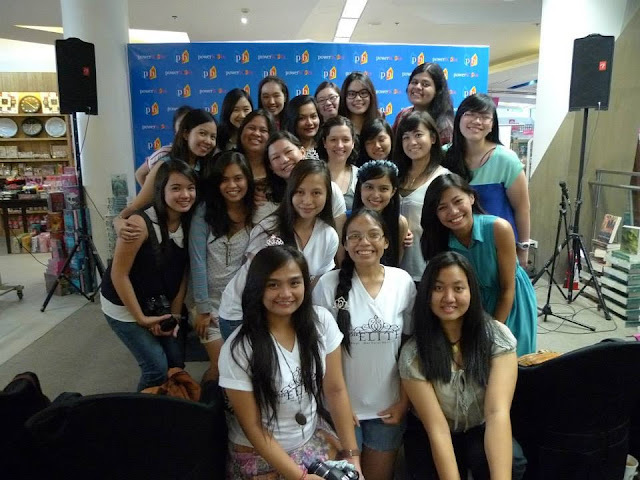 I was able to mingle a bit with the bloggers I only met and talked to on Twitter. Then the person we've all been waiting for arrived! 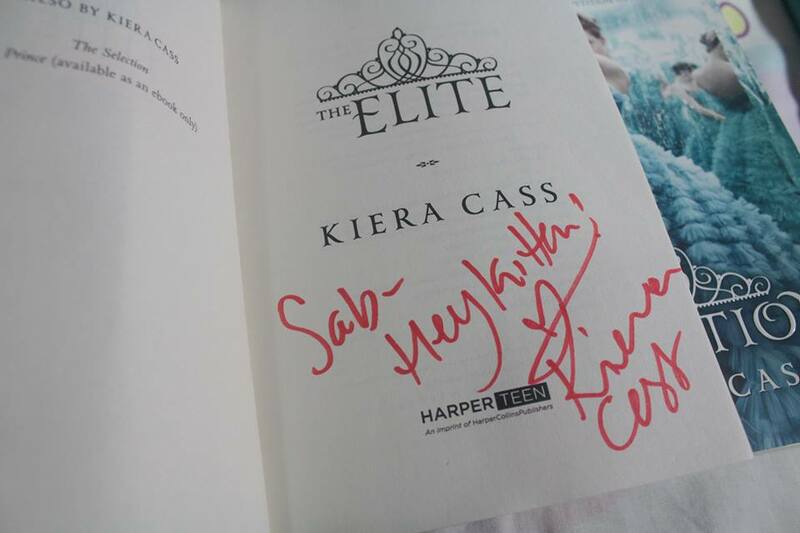 I easily get starstruck around celebrities/well-known people so seeing Kiera Cass in the flesh was definitely surreal. She was just... there. So close. And upbeat. And friendly! 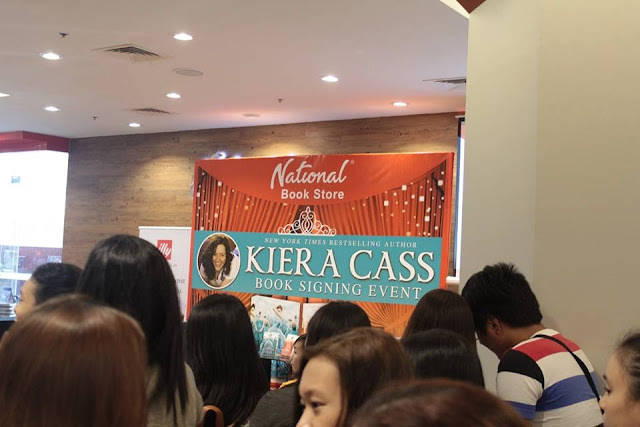 The Q&A started immediately after Kiera was introduced. 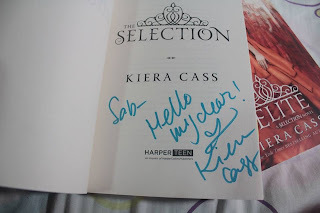 I learned a lot about the world of The Selection and I was able to appreciate it more when Kiera answered every question. 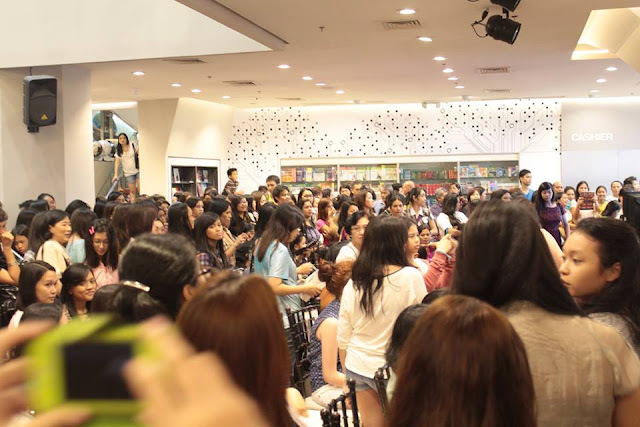 After that we lined up to get one of our books signed. We were only allowed to get one book signed during the forum so we had to get the others signed after. Me: *grins* (omg she thinks my top is cute!!!) aww, thank you! Me: I'm a One Direction fan too! Kiera: *pause, looks at me* Really?? PROBABLY THE BEST 50 SECONDS OF MY LIFE. Kiera and her husband, Calloway, are so cute! They posed for pictures and even tugged their ears! ADORBS. FOR REAL. 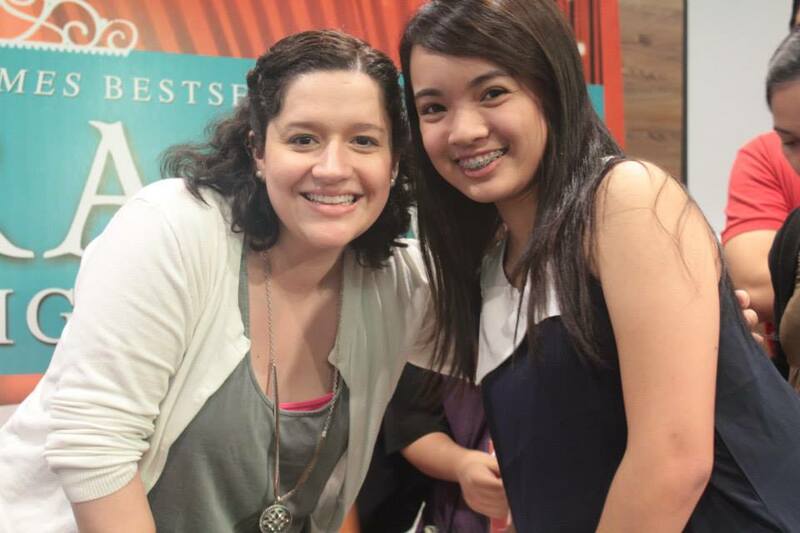 Several photo ops and awesomeness later, we went to the book signing. Let me tell you, I honestly was not expecting the turn out. More than 600 people came, all eagerly excited to see and meet Kiera. That is insane! A lot of screaming ensued when Kiera walked in. You'd think a rockstar arrived (well, she sorta is). She actually got teary-eyed! There was a short interview wherein Kiera explained how she came up with the book, what she's working on and who's which team she's on (she's on both teams, of course). Fan girls were going crazy trying to defend their ships. (Go Team Maxon, by the way. 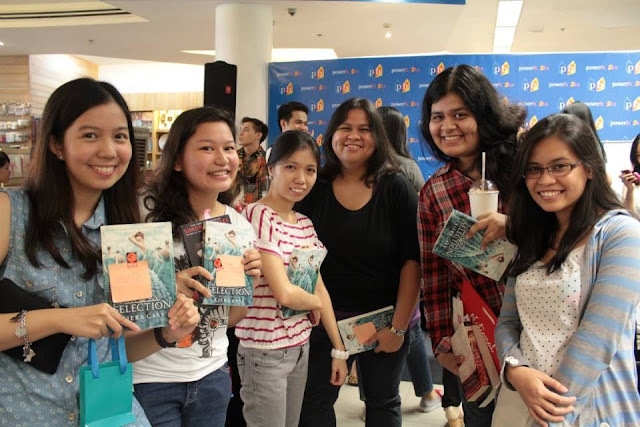 Team Maxon!). One girl asked if Kiera would consider Rob Pattinson to be... blah, I didn't even hear the rest of her question because the crowd went BOOOOO! Hah! Poor kid. 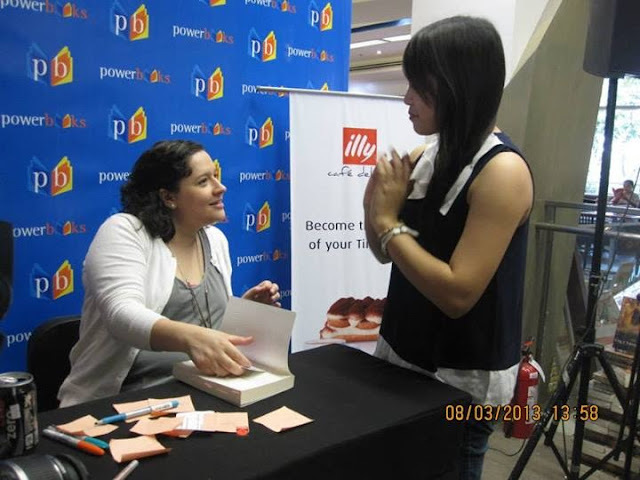 Then it was time to line up for the book signing. This time, I had my copy of The Elite signed. I was number 21. It took a while for me to get to Kiera. But it was worth it!!! 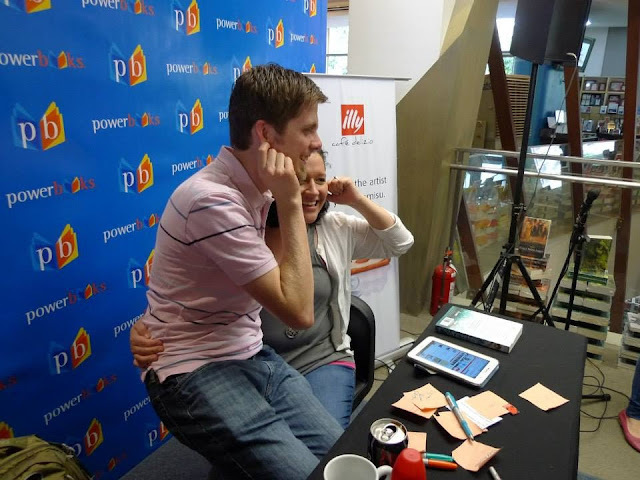 Wrong angle -hello arm- but I don't care. 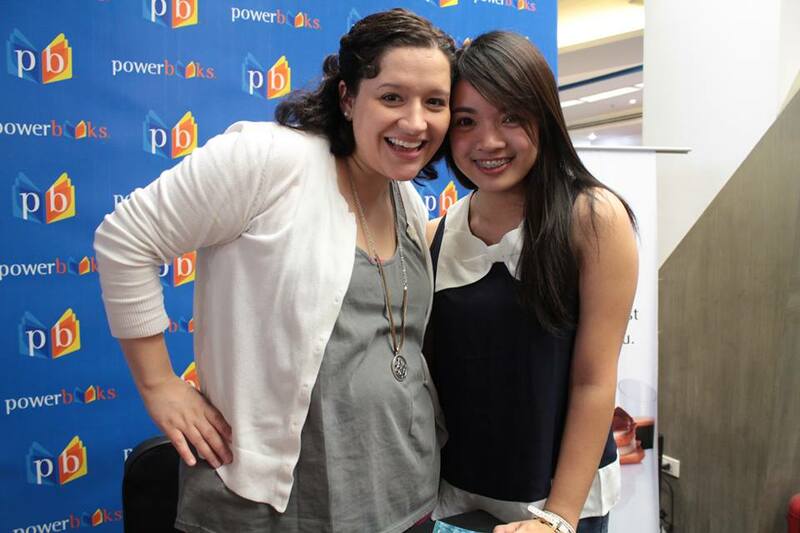 I have another photo with Kiera! It was definitely a memorable day for me. Seeing Kiera Cass, getting my books signed, meeting my fellow book bloggers? One for the books. 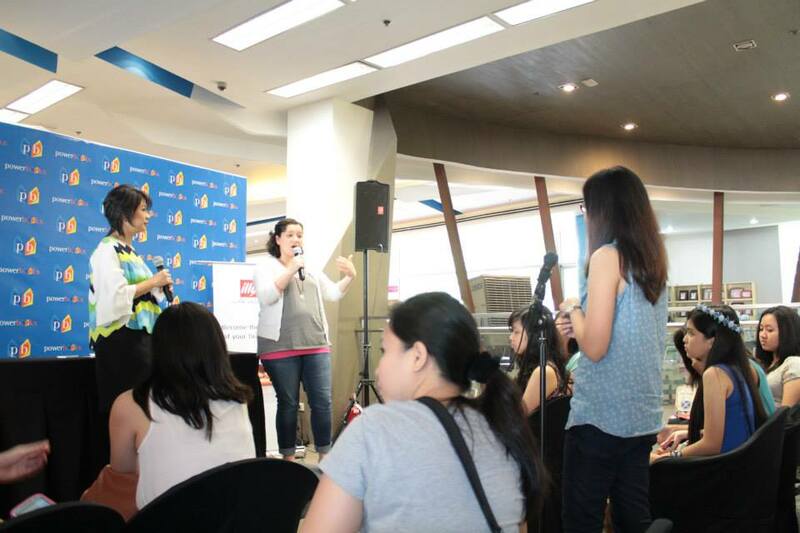 Thank you National Bookstore, HarperCollins, Kiera and all the cool people who made this happen! YOU ROCK! Awesome recap!!!! Now I don't know if I can give the event justice. 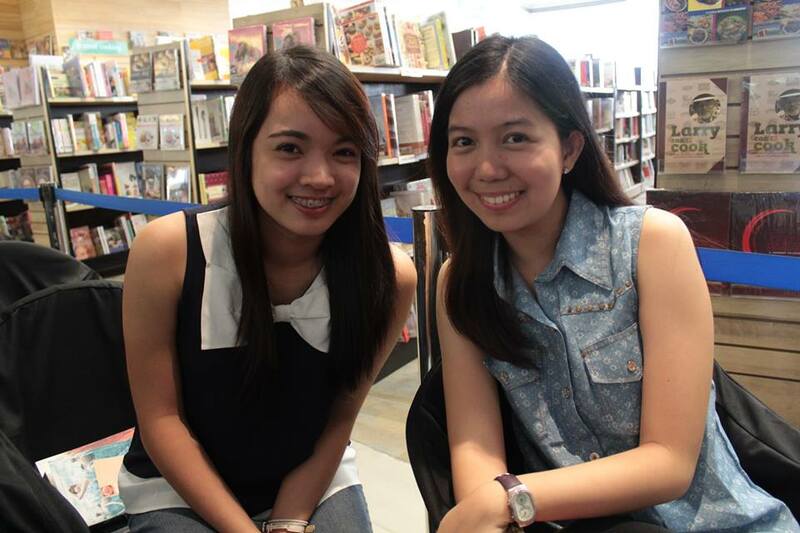 So happy to meet you, Sab! 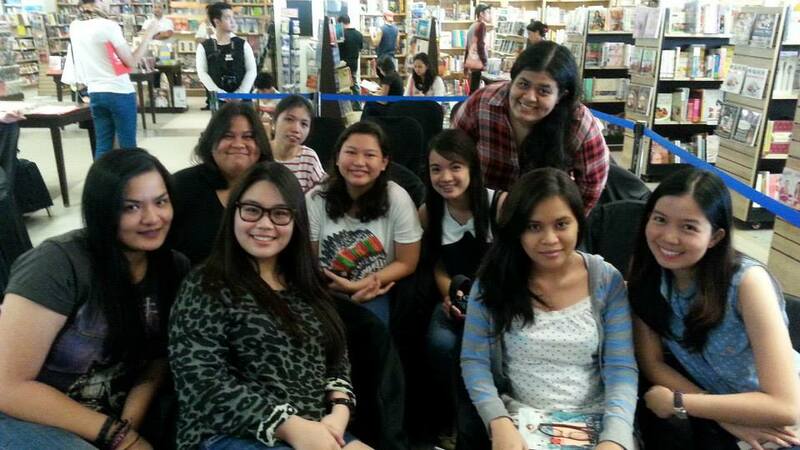 To more book events! SO COOL! :D Glad you had an amazing time!